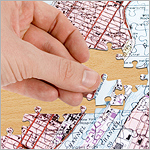 Zip Code Puzzles are totally unique, map-style jigsaws centered on a place of your choice. Simply send them the house number, street name and zip code of the area you’d like at the center of your puzzle – be it your own humble abode or a friend or relative’s pad – and leave the rest to them. 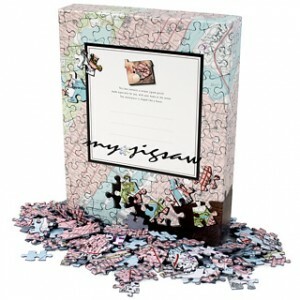 Before you can say 90210 they’ll send you an amazingly absorbing, personalized puzzle featuring your chosen area.